ExpressRoute allows you to securely add compute and storage capacity to your existing datacenter. 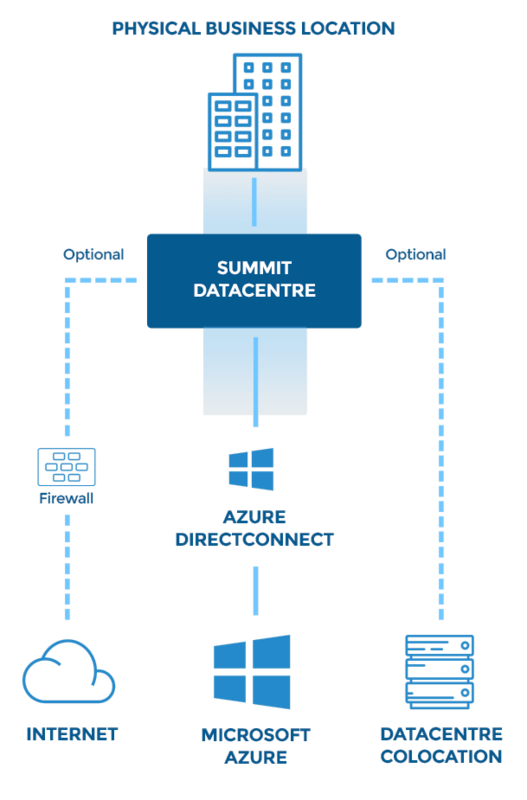 With high throughput and fast latencies, Azure will feel like a natural extension to your datacenter so you enjoy the scale and economics of the public cloud without having to compromise on network performance. With predictable, reliable and high-throughput connections offered by ExpressRoute, you can build applications that span on-premises infrastructure and Azure without compromising security or performance. For example, you can have your corporate intranet application running in Azure that authenticates users using an on-premises Active Directory, and serve all corporate users without traffic ever routing through the public Internet.